A room especially for those with bold, but sophisticated, tastes. 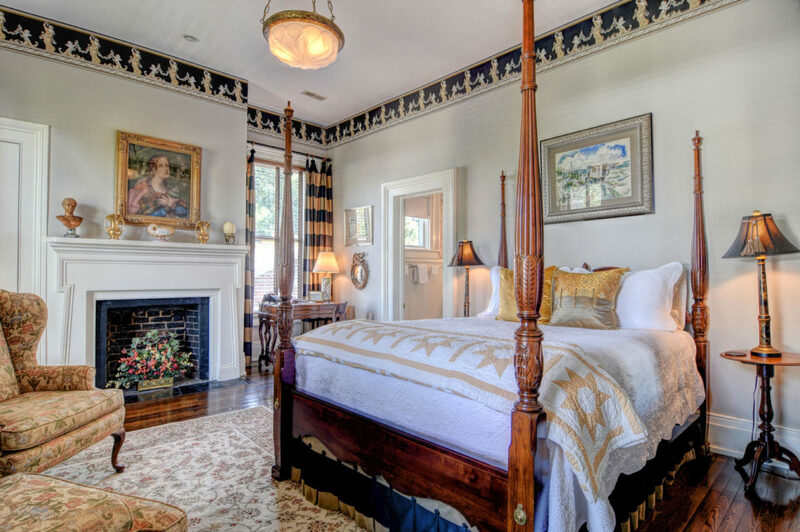 Guest Room Three is located in the front of the house and has a dark wood floor with a small white rug. Complete with decorative fireplace, it is a very dramatic and bold room with full-length draperies that are made of a black, gold, and silver plaid. A classic wallpaper border in black, gold, and silver tops the light gray walls. 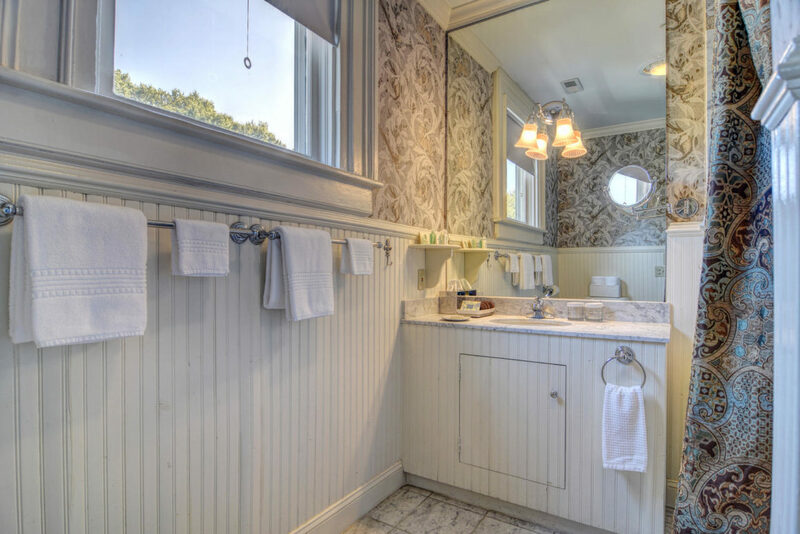 The large bathroom is flooded with natural light from the window, and a beautiful gray, gold, and silver wallpaper covers the walls in the bathroom which has a marble floor, marble vanity top, custom vanity, etc. There are two comfortable chairs, an antique dresser with obelisks that hold the mirror. The small desk was formerly a melodeon and sits underneath a window, next to a decorative fireplace. A four-poster rice bed completes the room. The room as a 10-1/2 foot ceiling.